Good Morning Parents!!! 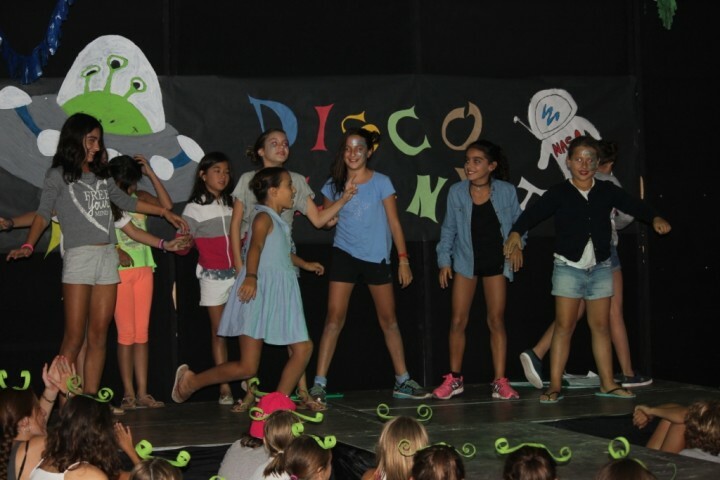 Welcome to the English Summer Camp blog of Poblet! We have been very busy during this weekend, so we have a lot of things to tell you!!! 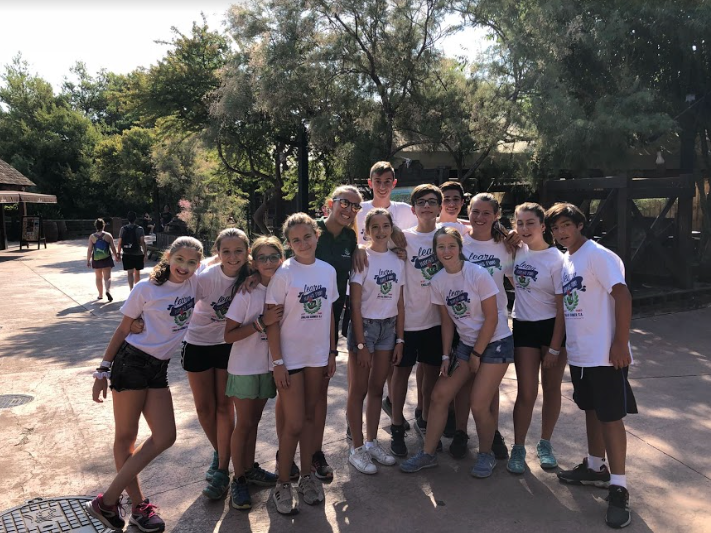 On Saturday some of us went to PortAventura where we enjoyed a lot the shows that where played while we were eating at La Cantina and of course all the attractions we rode into like Shambala, Dragon Khan and a lot more! The smallest ones though, enjoyed of the Sésamo Aventura and all the other activities we can participate on, so we had an amazing day! Some of us, instead of going to PortAventura we decided to go to Costa Caribe where we enjoyed the day going from a water slide to another. 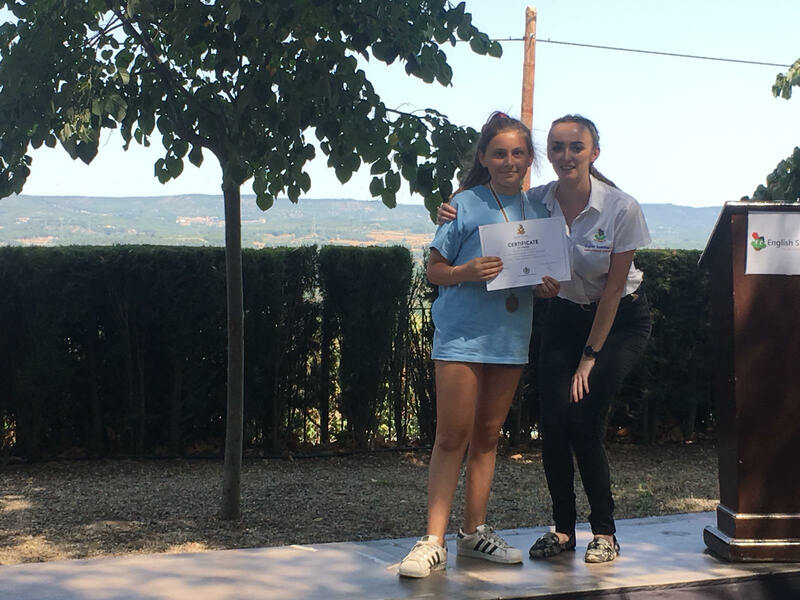 Finally, the students who decided to stay at Poblet’s house enjoyed a more relaxing day but not less fun!!! We started the day a bit later since we woke up at 9:30 a.m. and after breakfast we played to some interactive and cooperation. 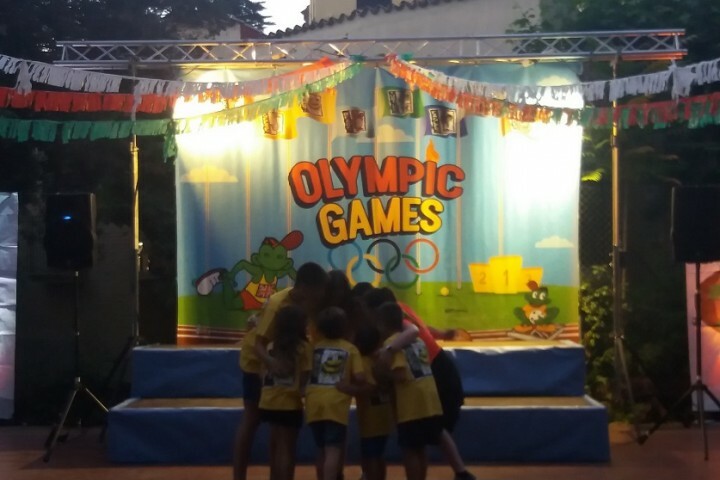 After lunch we played a bit more and we watched a film while we were waiting for our friends to come from PortAventura and Costa Caribe. 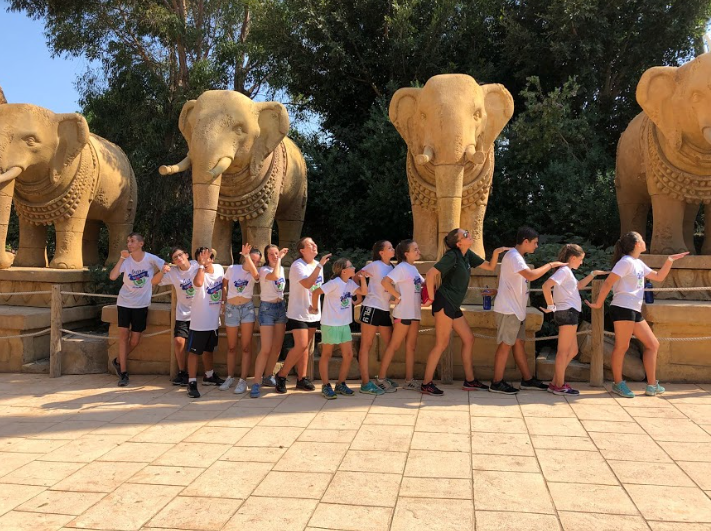 Once we finished eating, we all went to the basketball court where we watched a video with photos of all the term and we could say bye and thank you to all our friends and to all the staff which was a nice experience. Right after saying goodbye to all of them we went to sleep. WAKEY WAKEY RISE AND SHINE!!! On Sunday morning we woke up early to prepare the goodbye ceremony in which we all said goodbye to our mates who were leaving. Once it was finished, we prepared the Check-in for the new students and right afterwards we went to the Monastery which was so pretty and nice. When the parents left, all the new students did their English Level Exam. After on we divided ourselves by monitor groups to do the group integration. 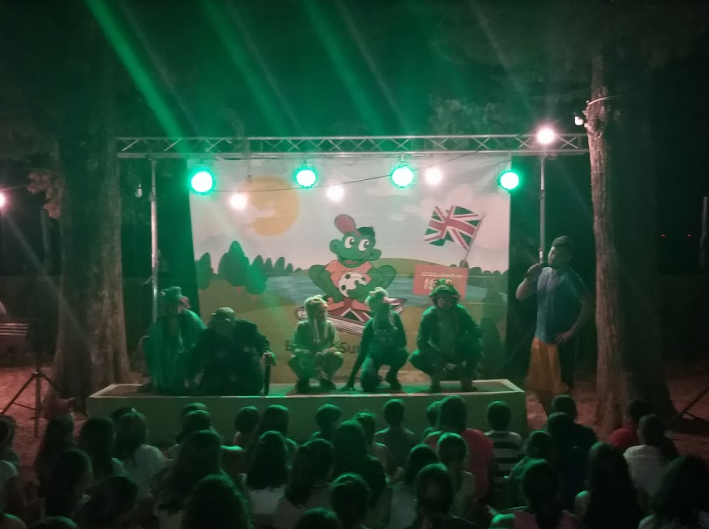 At night we did the Welcome to Froggyland party in which we met Froggy and all its family which was very fun! It has been an amazing weekend!!! 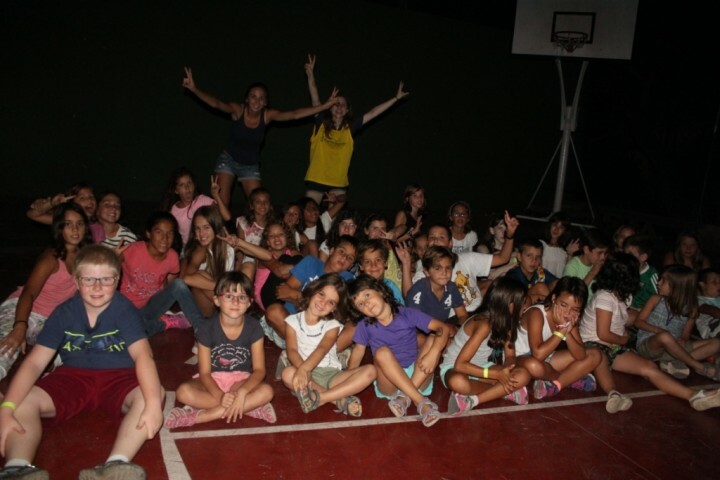 Watch all the pictures in the clients’ area and send us an e-mail at esfvallclara@englishsummer.com. ¡No dejéis de seguirnos en Facebook, Twitter e Instagram!